The guidebook written by foodies for foodies, Glutton Guide is all you’ll need to plan a memorable meal-based trip in Burlington. Highlighting the city’s most authentic and delicious foods, Glutton Guide leads travelers to local treasures that are easy to miss and often hard to find – unless you know exactly where to look and what to order. In addition to an overview of Burlington’s best foodie neighborhoods, food-related activities and brewery & winery visits, you’ll find a guide to the city’s best food festivals and seasonal treats as well as yummy daytrips out of the city and a getting around guide. 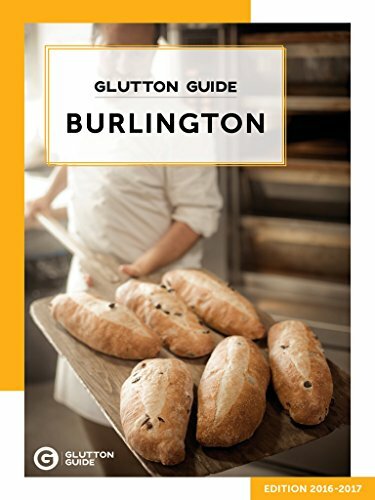 Glutton Guide Burlington helps readers make the most of every moment in the city, providing helpful ordering tips as well as map links for for all listings in the guide. All you have to worry about is working up an appetite!